ANSWER: VACATING A DEFAULT JUDGEMENT IN NEW YORK. QUESTION: WHAT’S EASIER SAID THAN DONE? It is not always easy to obtain a default judgement in New York. It is harder, still, to vacate one, especially when the defaulting party has a history of missing deadlines or otherwise not doing what the court wants. A recent case from the Third Department, Wood v. Tuttle, 106 A.D.3d 1393, 968 N.Y.S.2d 613 (3rd Dept. May 30, 2013), shows just how tough it is. The case has everything you could want in a good story: a bouncer, a bar, and a brawl. Evidently everyone showed up for a good fight, just some forgot to fight it out in court, at least until it was too late. No one knows who was right and who was wrong, at least not from the decision; but somebody won and somebody lost, and therein lies the lesson. Courts, as we previously mentioned, don’t like to be ignored; they want their orders, and rules, to be followed. Though they often will give a party the benefit of the doubt, and a second, or even a third, chance, that does not always happen. It is far better to establish a track record of complying with the rules, because then when you do make a mistake it often will be forgiven. It’s worse to be known for violating them, because sooner or later the court will penalize you, harshly. It’s important to stay in the trial court’s good graces. Whether to impose or vacate a default is within its sound discretion, and its decision is difficult to overturn on appeal. See Woodson v. Mendon Leasing Corp., 100 N.Y.2d 62, 68, 790 N.E.2d 1156, 1160 (2003). It’s really not that hard for a party to default in New York. A court can dismiss a case if the plaintiff fails to appear for a court conference or calendar call. If a defendant fails to appear, it can order an inquest to determine damages or grant the plaintiff a default judgement for everything it asks for in the complaint. See 22 NYCRR 202.27. Perhaps the harshest example is when a defendant is served with a summons and complaint and has only 20 or 30 days to answer or otherwise appear. If he misses the deadline, the plaintiff is well on his way to obtaining a default judgement against him. A court also can grant a motion on default, though it often will closely examine even an unopposed motion before deciding it. New York courts generally prefer to decide cases on the merits. That, however, does not immunize a party against a history of ignoring rules and foregoing second chances. As the Third Department’s decision in Wood v. Tuttle, supra, points out, if you ask a court to bend over backwards one too many times, it will make sure that you lose because you violated the rules, without even considering whether you might win on the merits. 1. The defendants did not respond to plaintiff’s discovery demands. 2. The defendants ignored court-ordered discovery deadlines. 3. The defendants did not oppose plaintiff’s motion for partial summary judgement on the issue of liability. The plaintiff reportedly brought the motion because defendants did not give him any discovery. 4. 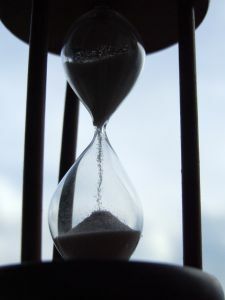 Even after the court conditionally granted plaintiff’s motion for partial summary judgement, saying the order would not take effect until defendants had been given one last chance to submit opposition, the defendants did not submit opposition. 5. When the defendants appeared at the inquest, the court gave them additional time to try to resolve the case; they reportedly did not even try. Instead, they used that time to bring a motion to vacate the court’s order that granted plaintiff partial summary judgement. Without that order there would be no inquest. 6. The defendants waited more than nine months after the court first conditionally granted plaintiff’s motion for partial summary judgement before they even tried to vacate it. This points out one truism about litigation in New York state courts: Don’t push your luck too hard or too far; follow the procedures and meet the deadlines. The courts often are a forgiving bunch, but, when you wear out their patience, the penalties are harsh. Save up the excuses for when a mistake actually does occur, because you never know when that might happen.